Dolby Atmos app for Windows 10 is now available for Insiders for testing. Dolby Atmos surround audio technology is developed by Dolby Laboratories. Windows Insider members with Windows 10 build 15007 can now try Dolby Atmos surround. Insider members can test the app with any stereo headphones or earbuds to experience Dolby Atmos. However, to avoid double audio processing, turn off any virtualization that came with your PC or existing headphones. Users with Dolby Atmos supported home theater system can also connect PC’s HDMI output to it. Designed for Dolby Atmos enabled games and movies, Dolby Atmos for headphones creates powerful, moving audio, taking spatial information from audio objects to create a fuller, more immersive experience over headphones. Games in Dolby Atmos put you in the middle of the action, letting you pinpoint enemies and obstacles that aren’t on-screen. You’re not just playing the game, you feel like you’re in it. When you watch movies in Dolby Atmos, the sounds of people, music, and things come alive with breathtaking realism and move around you with spatial precision. 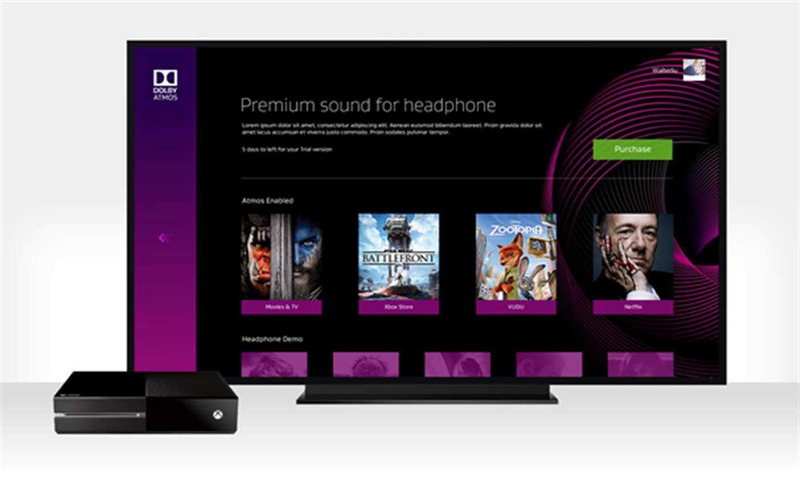 Currently, the Dolby Atmos preview app is available for Insiders on both PC and Xbox One. The app will be available with Windows 10 Creators Update.